When someone is facing mobility challenges, what was once called ‘home sweet home’ might now be a veritable obstacle course especially if there are stairs involved. 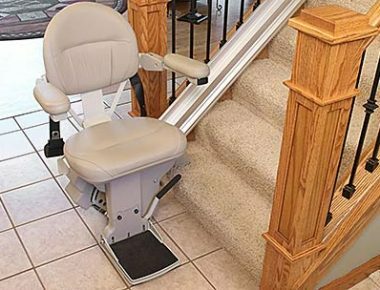 Thankfully, our company, Stair Lifts Atlanta, LLC, seeks to make this particular phase of life, whether short term or long term, as easy to manage as possible. 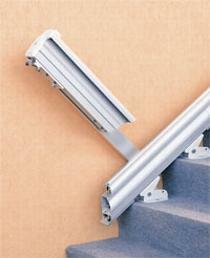 In fact, did you know you can actually rent a straight stair lift affordably in Atlanta? 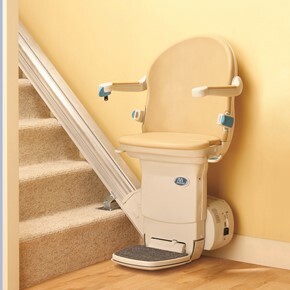 Stair lift rental programs are responsive to your needs and budget — available short term or as long as you need them. Whether you are renting a stair lift for a special event or short term recovery period, our programs are flexible and cost effective. In fact, rental customers can have a rental arrangement that includes the option to purchase if a long term need arises. Stair type: What type of stairs do you have? Everything from the style, the width and the length of your staircase will influence the final cost of the stair lift. Dimensions: What are the dimensions of the landings both at the bottom and top of the stairs in question? 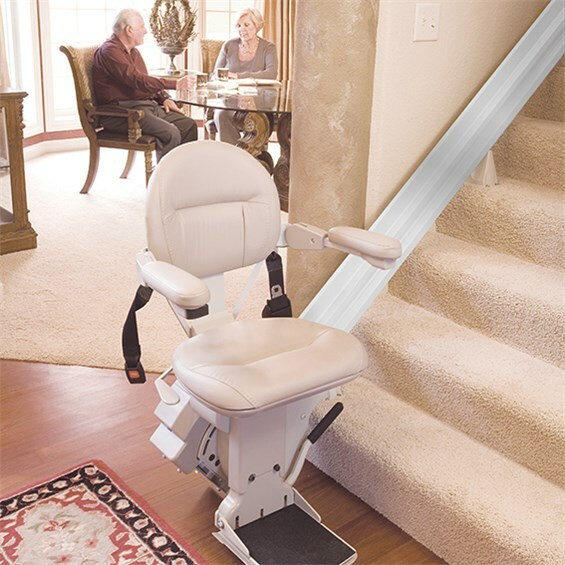 This is critical for the type of lift you can acquire, particularly as it regards to the user getting seated comfortably and safely on the lift. Obstacles: Are there any obvious obstacles that might inhibit a smooth operation of the chair lift? Such problems may include protruding windowsills, door swings, etc. Special features: Do you want or need special features such as higher weight capacity? 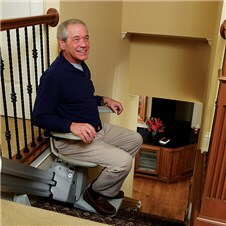 When you rent a stair lift in Atlanta, such things also need to be factored in. What is the ability of the primary user? Can he or she operate a swivel lever or would a powered swivel be more suitable? Seat size: What size seat would the principal user most comfortably fit? 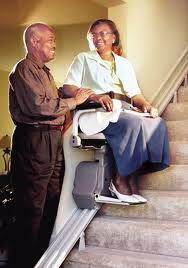 It is important to make sure that the weight limit, which varies in stair lifts, is appropriate to the need. User abilities: What is the ability of the primary user, can he or she transition to a stair lift or do they need a vertical platform lift to carry the wheelchair or scooter, too? 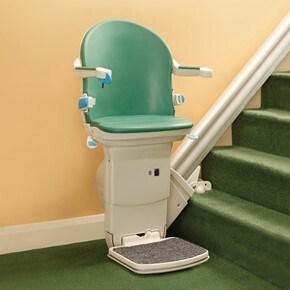 The customer is often required to pay up-front costs such as the stair lift installation cost which varies up to $600, the uninstall fee which varies up to $500, a 3 month rental term fee which varies up to $300 and a refundable deposit which varies based on the stair lift rental and home ownership circumstances. 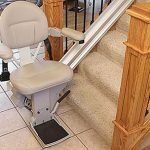 These costs can run as high as $1600 (not including the refundable deposit) which may seem high but is actually half the approximate cost of $3200 to install a new straight stair lift, including the state certification. What’s the total cost to rent a stair lift in Atlanta? Priced on a monthly basis with an initial installation charge, the cost is very reasonable although contingent on different factors. Your certified aging in place / stair lift specialist is more than capable to help walk you through the process of finding the right stair lift to both meet your needs and your budget. Experience all the freedom you can – even with mobility challenges – when you rent a stair lift in Atlanta. With minimal commitment, no maintenance to worry about and affordable payment options, this could be your ticket to continued independent living. Contact your trusted local specialist for a free in-home consultation and to learn how to rent a straight stair lift in Atlanta. 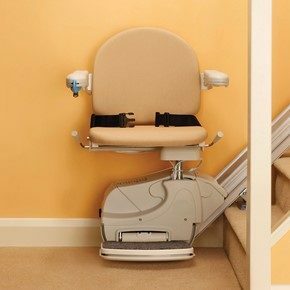 Call Stair Lifts Atlanta, LLC at 770.880.3405 or send an email today using the contact form to the right to arrange a complimentary home assessment and determine the precise costs to rent a stair lift in Atlanta. This entry was posted in Atlanta Stair Lifts, Renting a Stair Lift, Stair Lift Blog and tagged bruno straight stair lift rental, cost to rent a stair lift in atlanta, rent straight stair lift in atlanta, stair lift rental atlanta north georgia. Bookmark the permalink.